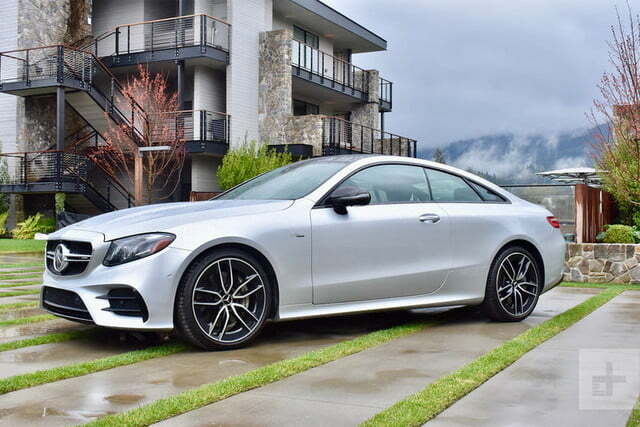 The 2019 Mercedes-AMG E53 coupe is a tamer, greener breed of performance car. Major changes are underway at Mercedes-AMG. The performance division of Mercedes-Benz forged its reputation using big engines to make big power, in the finest muscle-car tradition. From the legendary AMG Hammer to the modern E63, tire-smoking, big-displacement engines stuffed into ordinary Mercedes cars have been the calling card of AMG. Now AMG is offering a greener, more approachable alternative to its traditional fire-breathers. The powertrain found in 53-badged cars combines a 3.0-liter, turbocharged inline-six engine with electric assist. Models with this setup are designed to slot below the existing AMG 63 models in price and performance, but Mercedes claims they are still worthy of the AMG name. Digital Trends headed to California’s Napa Valley to find out if that’s true. 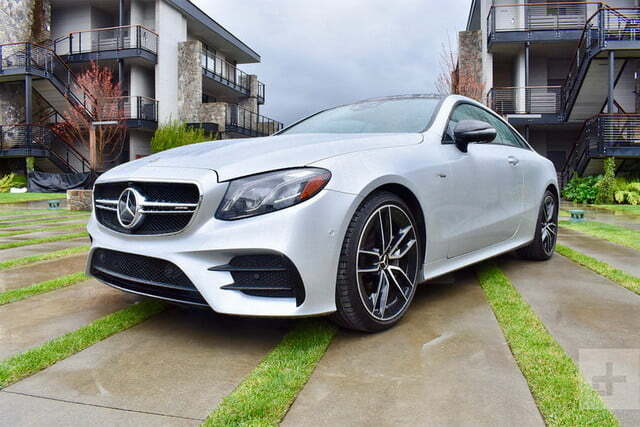 We chose an E53 coupe, but Mercedes offers the same powertrain in the convertible and sedan variants of the E-Class, as well as in the CLS and the AMG GT. Base price for the AMG E53 coupe is $74,695, but a host of optional extras, including a driver-assistance package, head-up display, and performance exhaust system, brought the price of our test car to $93,805. All prices include a mandatory $995 destination charge. If you want a mid-size Mercedes-Benz, you have plenty of choices. Mercedes offers the E-Class in two-door coupe, convertible, sedan, and wagon variants (the wagon doesn’t get the 53 powertrain). But we think the E-Class coupe is the best looking of them all. Traditional two-door luxury coupes are becoming rare, but the E-Class coupe shows why they should stick around. The basic exterior design, which borrows heavily from the larger S-Class and smaller C-Class coupes, is simple and well proportioned, a benefit of the car’s two-door configuration and rear-wheel drive platform. With the E53, the E-Class coupe body style finally gets a sporty powertrain to match its sleek styling. 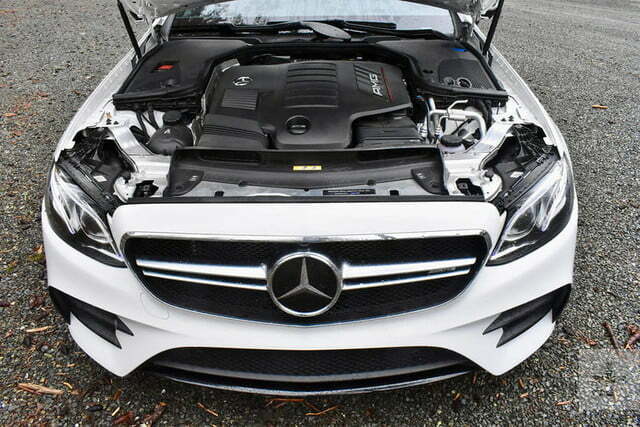 With the E53, the E-Class coupe finally gets a sporty powertrain to match its sleek styling. The E53 also gets an AMG-specific grille, front and rear bumpers, and rear spoiler. Hood bulges – a styling feature that dates back to the classic Mercedes 300SL Gullwing – complete the look. Like all two-door coupes, style comes at the expense of practicality. The four-seat E53 coupe’s 37.8/36.4 inches of front/rear headroom, 41.8/34.1 inches of front/rear legroom, and 56.1/50.1 inches of front/rear shoulder room are decent for a vehicle of this type. 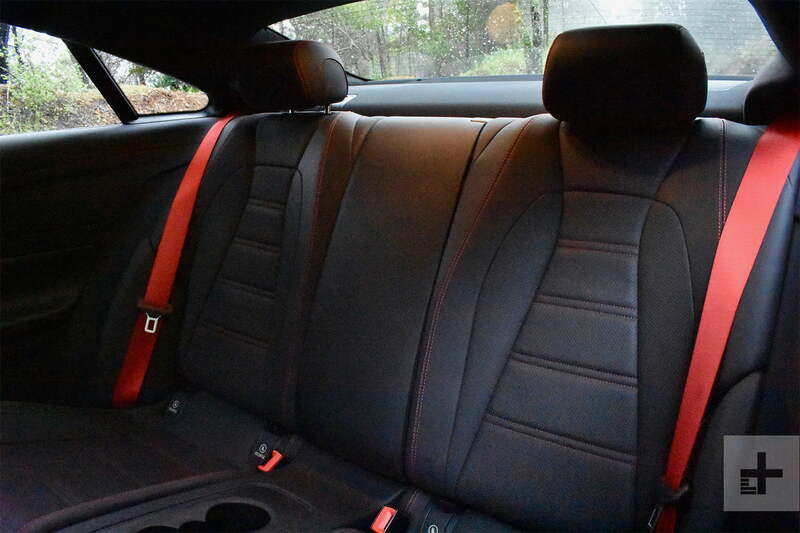 Front-seat space is generous, and the rear seats even seem like they would be tolerable for a reasonable distance. But the E53 coupe will never be confused with a family car; the E53 sedan best fills that role. The coupe’s 10.0 cubic feet of trunk space is enough for a weekend’s worth of luggage, but that’s about it. The interior does have plenty of character. 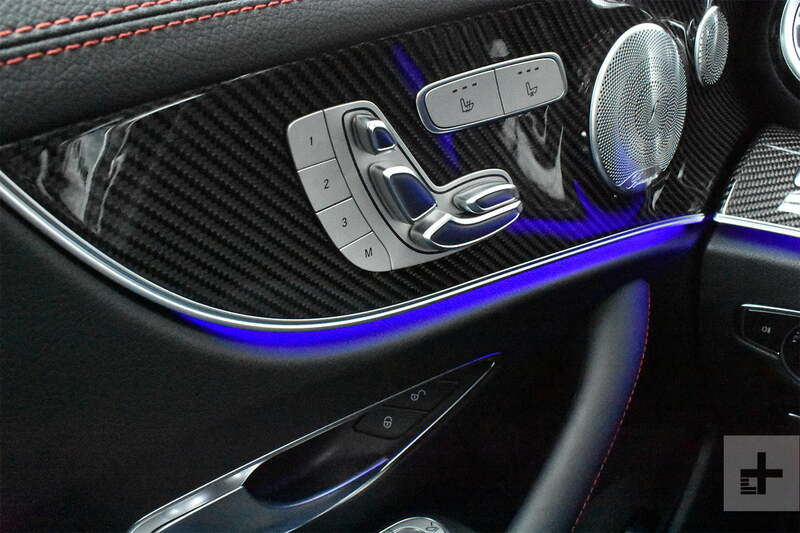 From the elaborate Burmester speaker grilles and carbon fiber trim, to the red seat belts and purple mood lighting, we felt like we were in a very sporty nightclub. 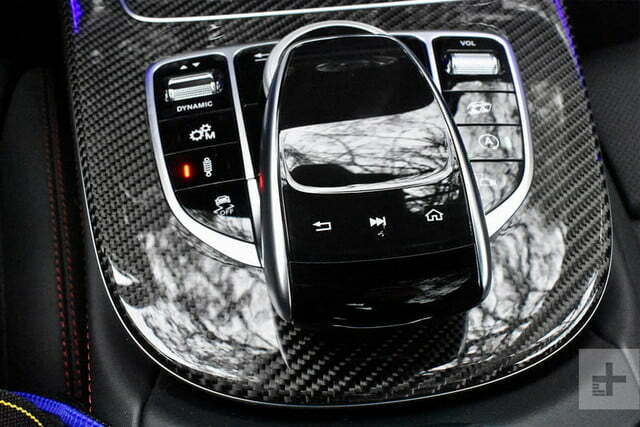 Some of those details may not suit everyone’s tastes, but they made the cabin distinctive as well as luxurious. The Nappa leather front seats were also very comfortable, despite ample bolstering to keep driver and front passenger in place during aggressive cornering. 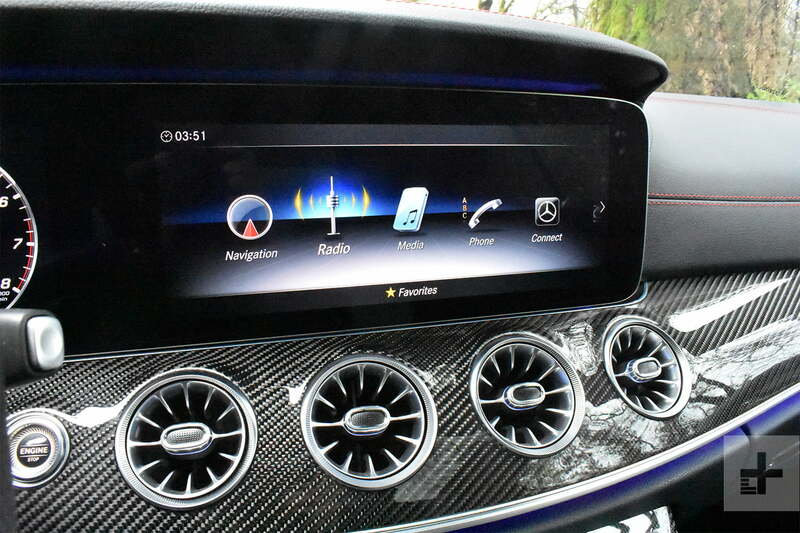 The AMG E53 gets a version of the COMAND infotainment system used in many other current Mercedes models. Our test car’s 12.3-inch main display screen and 12.3-inch digital instrument cluster merge together to form one long screen. It’s not the most elegant solution, but it does create a lot of real estate for graphics. The system is compatible with Apple CarPlay and Android Auto, and has a controller that’s part touchpad, part click wheel. The touchpad/click wheel controller still comes with a steep learning curve. As with other Mercedes cars that use this system, we were impressed by the quality of the graphics, especially the virtual gauges. But the touchpad/click wheel controller still comes with a steep learning curve. 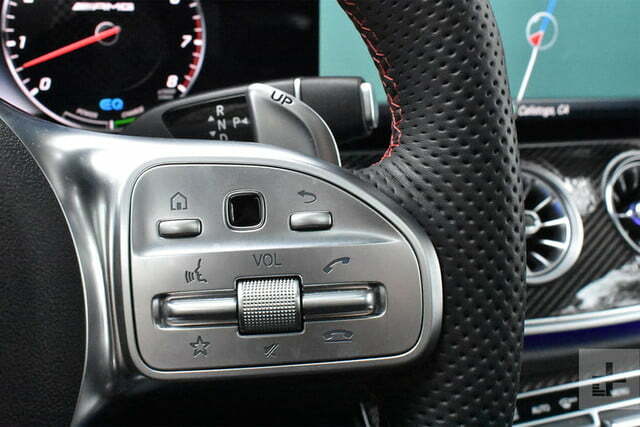 At least Mercedes offers other options for vital functions, including small touchpads on the steering wheel and toggles for audio volume and driving mode. MBUX hasn’t trickled down to the E-Class Coupe yet. Our test car had the optional driver assistance package, which includes Distronic (adaptive cruise control), active steering assist, active lane change assist, evasive steering assist, and a number of other driver aids. If those features can’t prevent a crash, the E53 also comes standard with Mercedes’ Pre-Safe predictive occupant-protection system and Pre-Safe Sound, which automatically pipes noise through the audio system to prepare human ears for the loud noises of a crash. Mercedes said it can help prevent hearing damage, but thankfully we didn’t have to test that claim. The AMG E53 is defined by its powertrain. It’s the main feature that makes this car different from a standard E-Class coupe. 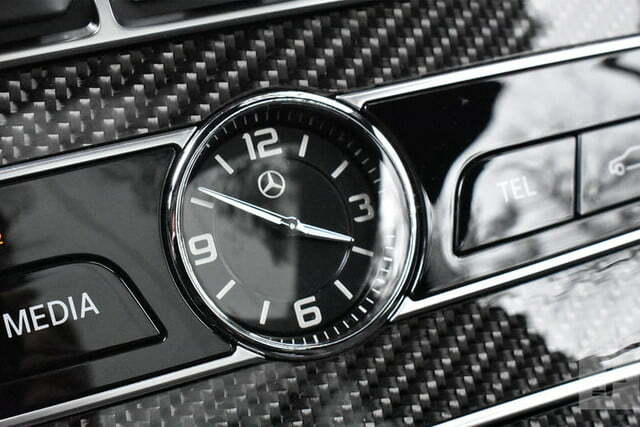 In that sense, the E53 is like every other AMG model. AMG’s first E-Class hot rod deserved its nickname of Hammer because of a powerful V8 engine, and the current AMG E63 S (which isn’t available as a coupe) packs 603 horsepower. But the E53’s powertrain is a very different kind of tool. Mercedes’ goal was to achieve high performance with high gas mileage, and it seems to have succeeded. The powertrain consists of a 3.0-liter, turbocharged inline-six engine bolted to a nine-speed automatic transmission, teamed with Mercedes’ EQ Boost mild-hybrid system. The gasoline engine produces 429 hp and 384 pound-feet of torque. An electric motor sandwiched between the engine and transmission can add 21 hp and 184 lb-ft in short bursts. The E53 is a gasoline car with electric assist, not a full hybrid like a Toyota Prius. The electric motor can’t propel the car alone, but it does allow the engine stop-start system to operate more aggressively, and even allows the car to glide with the engine off under certain conditions. A 48-volt electrical system also eliminates the need for belt-driven accessories. Mercedes’ goal was to achieve high performance with high gas mileage, and it seems to have succeeded: the E53 is rated by the EPA at a respectable 23 mpg combined (21 mpg city, 28 mpg highway). That’s actually a bit better than the less powerful E450 4Matic coupe, and much better than the larger-displacement V8s the mild-hybrid powertrain aims to supplant. What about performance, then? Mercedes said the E53 will do zero to 60 mph in 4.3 seconds. That’s 0.1 second quicker than an Audi S5 coupe. Top speed is electronically limited to 130 mph. That’s not very impressive for a performance car, but most owners will never come close to that speed in the real world. All-wheel drive is standard, but the system is rear-biased to give the car a livelier feel. It can send up to 100 percent of power to the rear wheels, and never sends more than 50 percent of power to the front wheels. 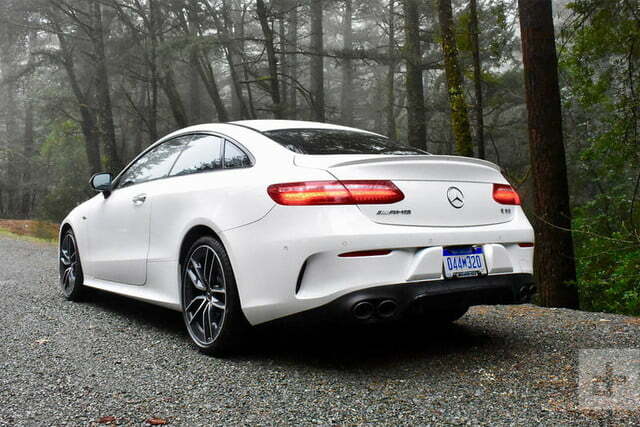 On the road, the E53 coupe doesn’t feel like a traditional AMG car. That’s both a good thing, and a bad thing. When we got to drive the car, conditions were far from ideal. Mercedes unleashed us on some lovely Napa roads, but those roads were rendered less fun by lots of rain and fog. 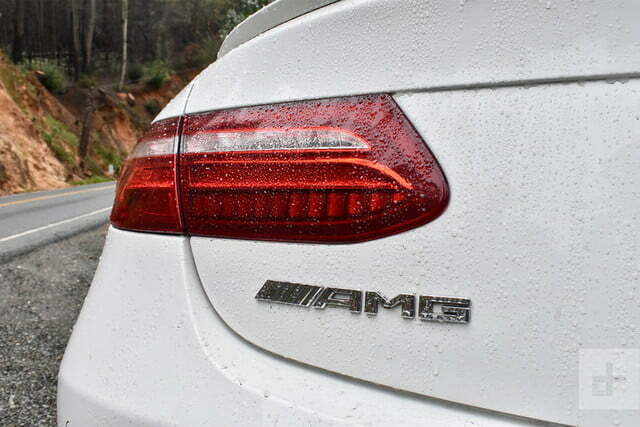 We felt much more comfortable hustling the E53 along in those conditions than we ever would in a traditional AMG car. 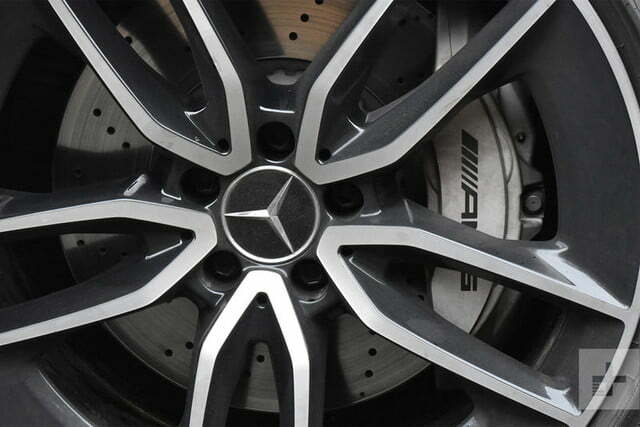 While some other AMG models offer all-wheel drive, their extra power would have gone to waste on the slick roads. The E53 had just the right amount of power, plus confidence-inspiring brakes and well-tuned suspension, making it a true all-weather performance car. Approachability and greater fuel efficiency come at the expense of personality. That approachability sets the E53 coupe (and the other 53 models) apart from the rest of the AMG lineup. Those other cars breathe fire, meaning they will sometimes burn you. That’s not the case with the E53. Aside from suspension that felt a bit too stiff even in Comfort mode, the E53 is also a proper luxury car at more relaxed speeds. 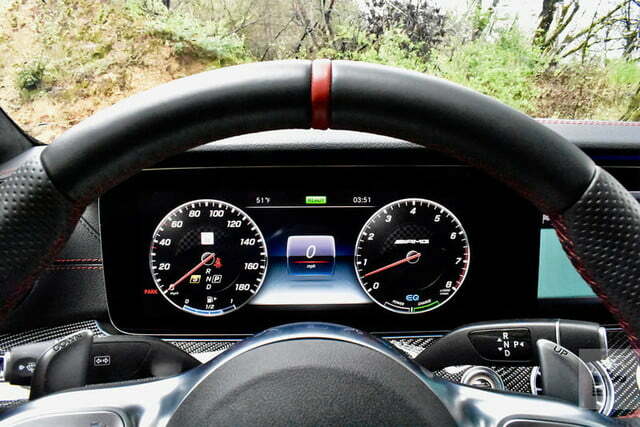 The cabin is quiet, and you get all of the convenience features and tech toys one expects from Mercedes. That’s the good news. The bad news is that approachability and greater fuel efficiency come at the expense of personality. The E53 is a quick car, but nothing about the driving experience is particularly memorable. Like many current performance cars, a layer of electronics prevents the driver from making a strong connection with the machine, even if those electronics make it easier to go fast. In the E53, that’s compounded by the mild-hybrid powertrain’s lack of charisma. It’s very obviously a compromise made in the name of fuel efficiency, and Mercedes’ calculated positioning of the 53 models between its standard models and the full-bore AMG cars. The Mercedes-AMG E53 coupe doesn’t really have a direct rival. Mercedes is the only luxury automaker still selling a two-door midsize coupe in the United States. The BMW 4 Series and Audi S5 aren’t that much smaller, but they are positioned as lower-level models competing with the Mercedes-Benz C-Class coupe. The Audi S7 and soon-to-be-discontinued BMW 6 Series Gran Coupe are closer to the E53 in price and prestige, but as so-called four-door coupes, they are basically sedans with showier bodywork. 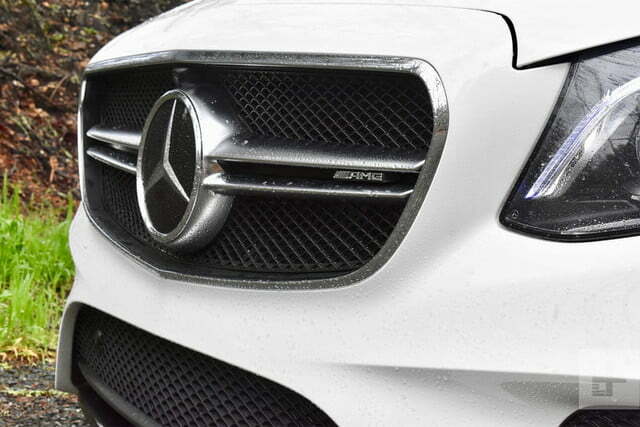 The E53 coupe will likely have to fight hardest against other Mercedes models. The 53 mild-hybrid powertrain is also available in the related E-Class convertible and sedan, as well as the CLS and AMG GT four-door coupes. At least buyers who have already committed to Mercedes will have plenty of choices. Mercedes-Benz offers a 48-month, 50,000-mile bumper-to-bumper warranty on new cars. Other recent E-Class variants were given a below-average reliability rating by Consumer Reports, which doesn’t bode well for the E53. Crash-test ratings from the Insurance Institute for Highway Safety (IIHS) and National Highway Traffic Safety Administration (NHTSA) are not available at this time. Our ideal Mercedes-AMG E53 coupe would have the driver assistance package ($2,250), which includes all of the important driver aids, our test car’s multi-contour front seats ($950) head-up display ($990), seat heaters ($450) and the exterior lighting package, which adds LED exterior lighting and automatic high beams for $800. We would also check boxes for the 20-inch wheels ($750) and the performance exhaust system ($1,250). Aesthetically, we would keep our test car’s black Nappa leather upholstery with red stitching ($2,990), carbon fiber interior trim ($2,850), and red seatbelts (a no-cost option), but would swap the polar white paint for a different color, possibly cardinal red. 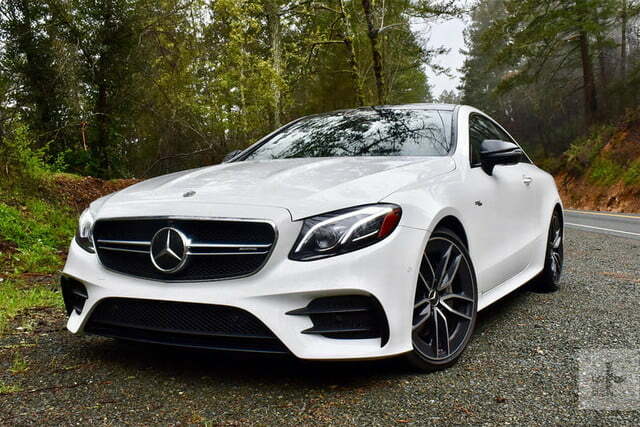 The 2019 Mercedes-AMG E53 coupe is a great all-rounder, combining luxury, tech, and impressive performance. It lacks the raw intensity we expect from an AMG car, but that means buyers will also find it easier to live with.